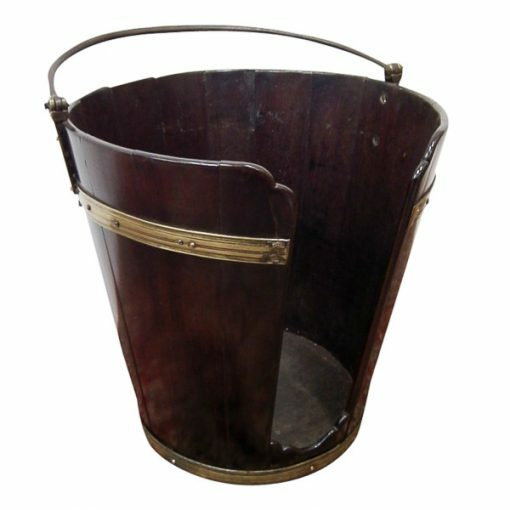 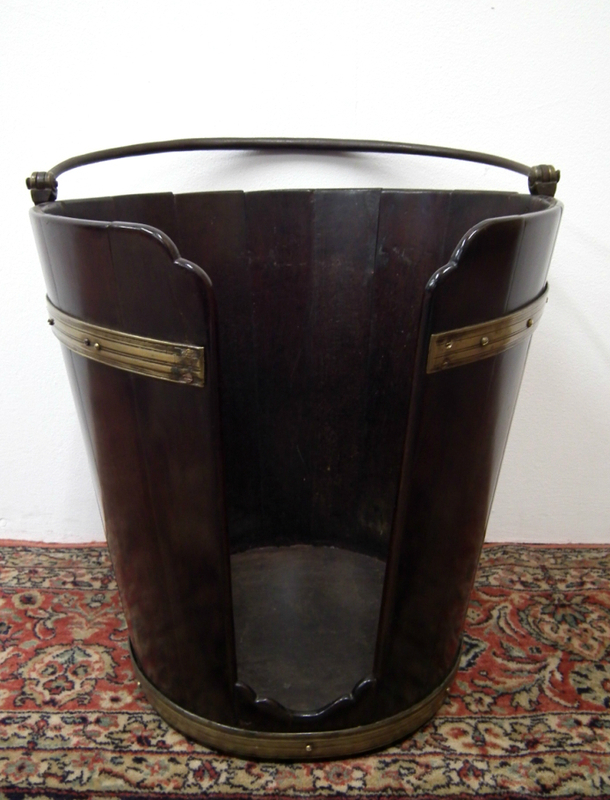 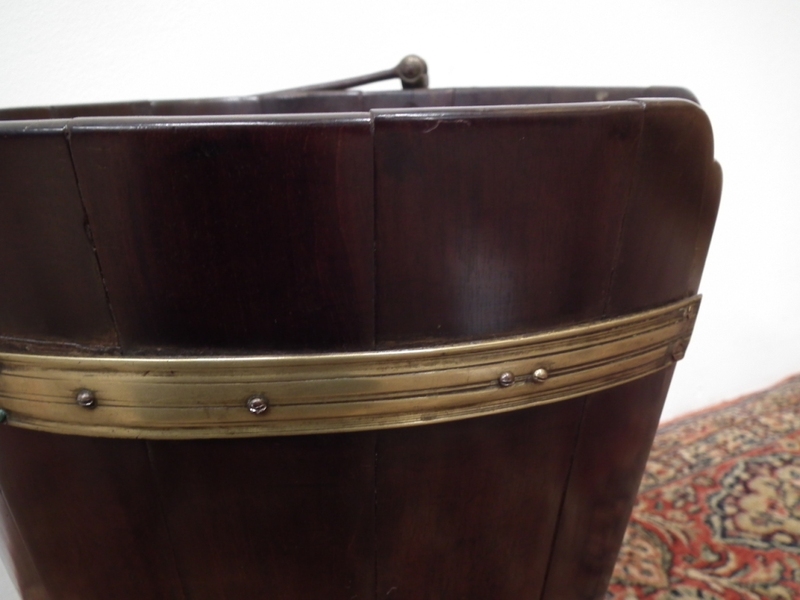 Circa 1775, George III mahogany, brass and steel plate bucket. 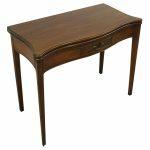 The bucket has a tapering form and staved mahogany slats, and has an unusual steel lifting handle. 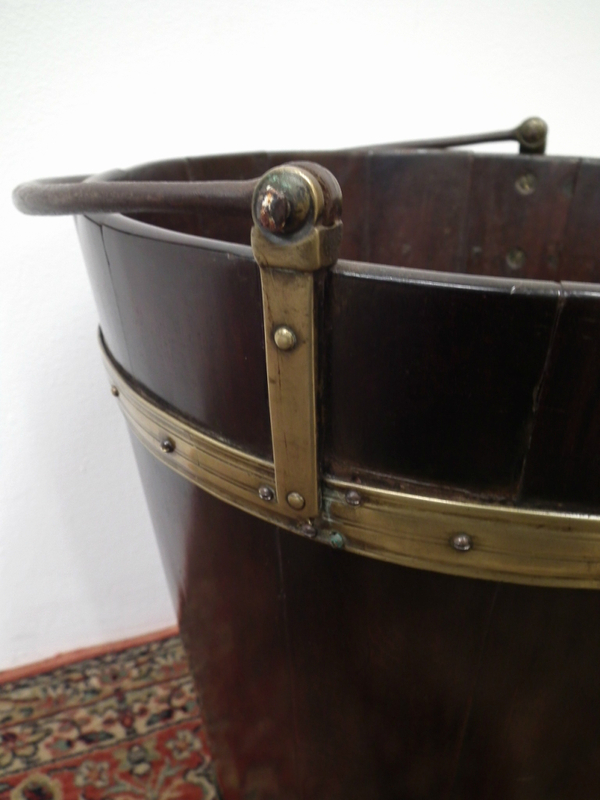 Below this are two uprights which support the handle and a wrap around brass bezel which is ribbed. 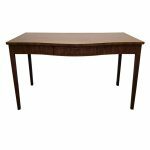 There is an open section with a stylish form in the middle for inserting and removing the plates. 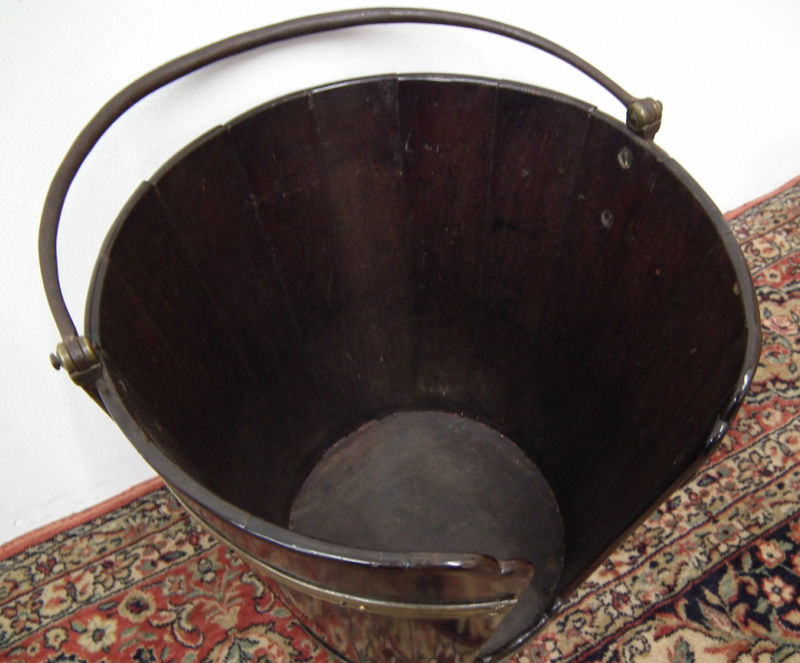 The bucket has excellent colour and is in good condition.